Close up surprised afro-american businessman. 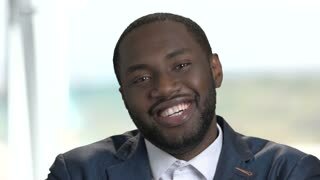 Smiling face of dark-skinned entrepreneur on blurred background. Human expression of surprise.